It's the last day of October and I was wondering what kinds of fall projects you all have been working on or want to work on? I had NONE! This summer we had a fan and a better light put in our upstairs bathroom so it could be more usable. We haven't used that bathroom since we moved in 5 years ago because the light and venting wasn't adequate. That is the only mini project we needed to do. Last year we talked about replacing the carpets but we nixed that idea. We'll just keep it clean by vacuuming and then an occasional shampooing and call it good. I do have a rug in the middle of the floor but that kept on moving all over the place so we plunked a coffee table on top of it and that keeps it in place. We only have to clean up the leaves once they start falling more. We got the underground sprinkling lines blown out and put to rest for the winter and all the outdoors stuff put away so it's only leaf pickup as needed. We were working on our bedroom. We painted the walls and added new trim. I took out a small bookshelf I had that was not big enough for all of my books and replaced it with a taller shelf. It seems I am always purging things around here, trying to get to the point I can say I love my house. We need to do so many repairs that I sometimes wonder if I will ever see it all finished. OH MY!! The leaves in the backyard are crazy! The front has been taken care of, but may need one more raking session before the snow flies. We have the grill and lawn furniture put away. Not much else needed to be done until Spring for the yard. Not sure if I really have any major projects that I want to complete. Just trying to figure out Christmas and how and what to do for gift giving. Also, with son/dil living in NC and youngest in Southern Ohio, figuring out if and when we can get together. We will go down and pick up son from school Dec. 15th. His gf has graduation on the 16th, so I am hoping we can get him back here for that somehow. He has to work on the 15th in the evening, so depending on the time of graduation, we will see how that goes. He has a car there, but it is so old and iffy, that we don't feel comfortable with him driving it back until Spring. Wish we could provide him with something better, but we just can't do anything like that at least until after middle son's wedding in June. Good luck to all on completing your projects! Ok, people, it's getting ready.....to......start........snowing! After working Saturday afternoon cleaning, mowing, twig burning, they (leaves) all came back due to a lot of wind the last few days. So last night after work I told my big 24 YO son that I wasn't making dinner until after I had one last time outside doing leaf cleanup AGAIN. He offered to help!!! We worked for about and hour and fifteen minutes and got it ALL done. Tonight calls for the first of the snow and then a whole lot more this weekend. Yes, I made my son some supper, he deserved it. He helped is old mom out when she needed him the most. Picked from the garden this week as we're supposed to have a significant freeze Saturday morning. We also dug up around our front yard pear trees planted a year and a half ago and planted daffodils to help suppress weed and grass growth there (this was 2-3 weeks ago). Next plan is to dig up a front flower bed that needs the wood edging replaced (we put it in 11 years ago) and, while it's dug up anyway, I have 50 daffodil bulbs and 50 tulip bulbs to plant there. Enjoying the beautiful fall colors! We have a chance for a bit of snow on Monday, which would be extremely early for here, but if things will already have frozen, why not? 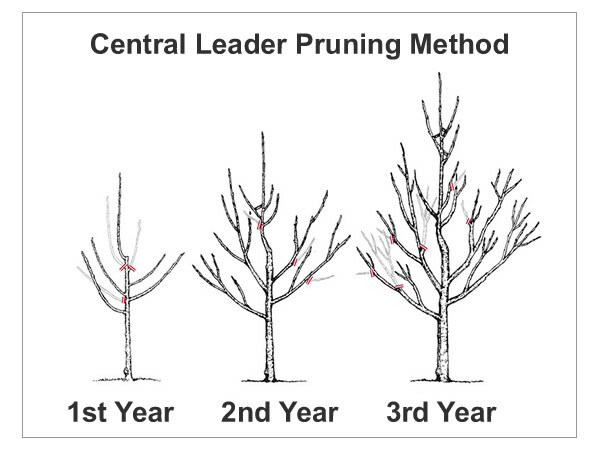 Do you have any tips for pruning pear trees? This is the first year mine have produced any pears, but they were small. I know I need to do something with them but I’m just not sure what. We have cleaned all the leaves which end up in the yard from our (and our neighbors') trees. I pruned my hydrangeas - not sure if it was the right time of the year to do it. They grew so much this year that hopefully it won't hurt to trim them back some. DH put the patio furniture away and we had our furnace serviced last week, so I guess outside of the house we're about as ready for winter as we can be. Inside the house, I need to defrost my little freezer so there is more room and it runs more efficiently. I also want to stock up on some basic supplies - paper towels, laundry detergent, etc. - all the things we tend to go through fairly quickly.